An iconic piece of Amarillo and downtown, the Madame Queen, has had a long and storied past. The train has found a home for several years at a small landscaped area at 2nd and Lincoln. Many people have helped keep the train and its history alive. Sam Teague is one of those people. Sam Teague was one of the members of Railroad Artifact Preservation Society (RAPS), the organization that was the caretaker for the historic Madame Queen, until last year. 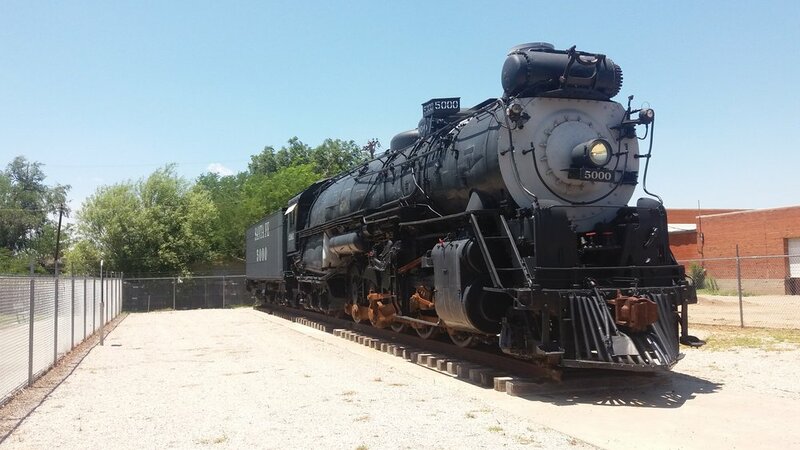 Teague says that RAPS was formed around 2003, after a contract with Texas Panhandle Railway Historical Society (TPRHS) had expired. The organization began working to secure a home for the train, while coordinating with auctioneer Bob Goree. The organization approached Goree about putting a roof over the train on Goree's property, but Goree instead wanted the train moved. Messer Construction moved the Madame Queen to its current home. The total price on the move and services had a price tag of $800,000. The move took place without a charge to the taxpayers. Teague says that RAPS had a contract with the City of Amarillo to move the train, and TPRHS had the contract for its maintenance, but the contract for maintenance had expired. RAPS did the maintenance on the Madame Queen between 2005 and 2008, without a contract from the City. "They knew we were out there working," Teague said, "But there was no contract so we worked on good faith." Teague said that RAPS was very dedicated to the engine and often dedicated large manpower to keeping the train's history preserved. "We worked on the engine every Saturday for 12 years." Teague said, "Often times there were up to five volunteers working at one time"
Teague said that in 2005, now-Mayor Ginger Nelson had hoped to approach RAPS, Teague and attorney Walter Wolfram about moving the train to the Santa Fe Building in downtown Amarillo. According to Teague, Nelson had hoped that the organization would put the train in the parking lot. RAPS had been coordinating with the City to get the Madame Queen running, but the City of Amarillo did want to participate, Teague says. After serving as the Madame Queen's caretaker, RAPS decided to seek ownership. The City of Amarillo put out the Madame Queen for bid three times, but no entity would agree to the terms of the Request for Proposal. The Request for Proposal included the City requesting the purchasing entity to have workers' compensation insurance. Teague said that the terms were unreachable as even the City of Amarillo does not have workers' compensation. As a non-profit, RAPS could not raise the money for the train due to its state of ownership, Teague said. RAPS left the Madame Queen shortly after these events and has since left maintenance to the City of Amarillo. Rust spots are now clearly visible on the 90+ year-old train and asbestos worries continue to plague the train's home. As far as maintenance in the future, Teague said that RAPS already had a plan and the means to take care of asbestos worries. Teague said that an asbestos donation had been given to RAPS on behalf of the Madame Queen that would have cost the taxpayers nothing, but then-city manager Jarrett Atkinson would not let the abatement take place. 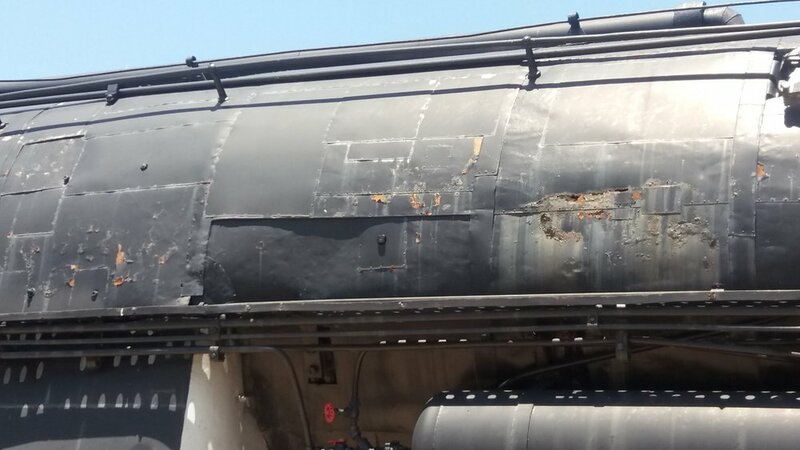 The price tag on the abatement was around $50,000. Out of everyone at the entire City, Teague says that RAPS received the most help from former City Councilman Mark Nair. "Mark really wanted the engine project done." Teague said, "He wanted it for Amarillo." Teague says that he is disappointed with the way the Madame Queen has been handled and is not sure what the future is for the historic train. "Since 1992, anything that I have done with the City, we had to show them how to do anything." Teague said, "They aren't capable of facilitating large projects." Teague also added that lack of focus for the history of the train and for the citizens in general played a part in the train's current state. "The City just threw it all away." Teague said, "They were too busy building the ballpark." Teague added "The City is not on the side of the citizens."